Location, location, location. Half an hour from London by train, less than an hour to the coast, and within minutes you’re in beautiful countryside. 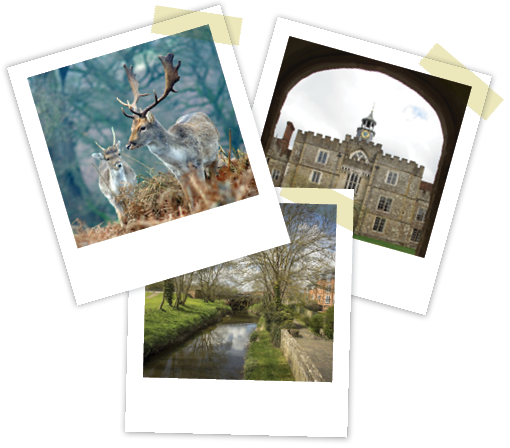 There’s lots of history to explore and things to do for families; Ightham Mote, Churchill’s previous home Chartwell, Knole Park. Set on the border of Kent and Surrey, Edenbridge is a tucked-away little town with a pretty river, green surroundings and a distinctly ’old world’ feel – incredible when you think it’s just a 10-minute drive from the M25! Just three miles away from Edenbridge is Hever Castle, the childhood home of Anne Boleyn and one of the best family days out in the South East. Bluebell walks, gorgeous countryside and a hop, skip and a jump to the capital – what more could you want?